Portugal is stunningly beautiful and not surprisingly, the Algarve is the country's most popular area, not just for its beaches but also for its golf courses. Blessed with an almost tropical climate, this southern-most province forms the South-West corner of Europe. It has more than 100 miles of dramatic coastline washed by the Atlantic Ocean, creating a record number of Blue Flag beaches. 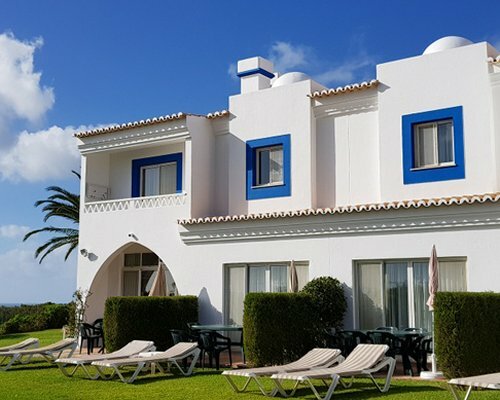 Probably the most popular attraction on the Algarve is the variety of golf courses with many of our holiday apartments in Portugal being located just minutes away from a local course. Kids are sure to love a trip on a sail boat out to see the dolphins or a visit to Aqualand. For those thrill seekers, why not try blokarting - a unique twist on the old fashioned go-kart! Horse riding, hobie kayaks and a host of water sports make the Algarve a fun place to be for everyone. With around 600 miles of coast, much of which is sandy beach, Portugal is a beach-goer's paradise. Portugal's beaches vary widely in both appearance and the range of activities they offer. From the weird and wonderful rock formations of the Algarve's coves to the exposed, windswept expanse of Guincho near Cascais, all of these beaches are all blessed with an unquestionable, natural beauty, making our holiday apartments the perfect match. 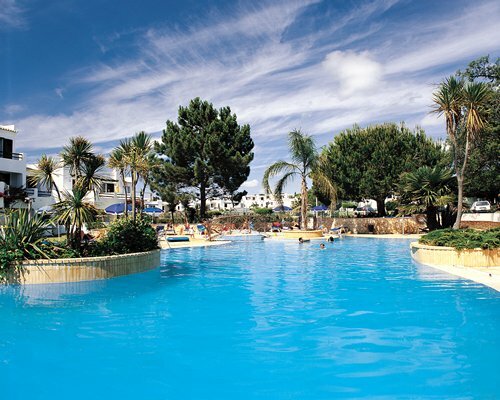 The Portugal holiday apartments at Balaia Park have it all. This world-class resort welcomes you to take the challenge of its own lush, nine-hole, par-3, golf course. You can take a lesson at the resort’s Golf Academy and then practice at the resort’s driving range and putting green. There are four tennis courts, a full-service health club with heated pool, Jacuzzi, Turkish bath, gym and massage room. Enjoy a game of croquet or petanque, or try a delicious meal in either of the resort’s two great restaurants. Get ready for the evening with a visit to the on-site hairdresser for a touch up or spend some relaxing time at one of the resort’s six swimming pools. O Marinheiro Restaurante and Bar (Albufeira). Enjoy five-star service at this family-run establishment, which boasts an excellent wine cellar to complement the chef's culinary masterpieces. Anna's Restaurant (Albufeira). Located atop a three-story house, this eatery serves up a beautiful view of the town and ocean along with a unique menu that will satisfy the most selective palate. Oceanario de Lisboa (Lisbon). Amid the fun-filled Parque das Nocoes lies the second largest aquarium in the world. Experience close encounters with penguins, sharks, sea otters and other exciting creatures. Planetario Calouste Gulbenkian (Lisbon). The whole family will enjoy standing among the stars at this planetarium, which offers shows throughout the day to help guide visitors' gazing. Quinta do Palheiro Ferreiro. Stroll the beautiful gardens of this privately-owned mansion. With more than 3,000 plants in the 30 acres surrounding the house, there's always something in bloom. Mosteiro de Santa Maria (St. Mary Monastery). This Cistercian monastery was one of the best-known in Europe during its heyday in the Middle Ages. See the wonderfully preserved 14th century tombs housed in the transept. Castelo de Sao Jorge (Lisbon). Tour this castle in historic Alfama and step back in time. Shop traditional. The Infante Dom Henrique House has a wonderful selection of pottery, baskets and woodcarvings handcrafted throughout Portugal. Shop modern. Located in Guia, just a short drive from Albuferia, is a major shopping mall offering the most current fashions, along with movies, bowling and restaurants.